Dalton Trumbo, a prolific screenwriter in 1940s Hollywood, is summoned by the House of Un-American Activities Committee to reveal his Communist sympathies and cronies. Trumbo remains silent and convinces his friends to do the same to protect their rights as Americans. He is held in contempt of Congress and sent to prison. Upon his release, he finds that he and his friends have been blacklisted, as the studios have been coerced by the government not to hire those considered threats. Trumbo takes a job writing low level genre fare for little money and no credit. 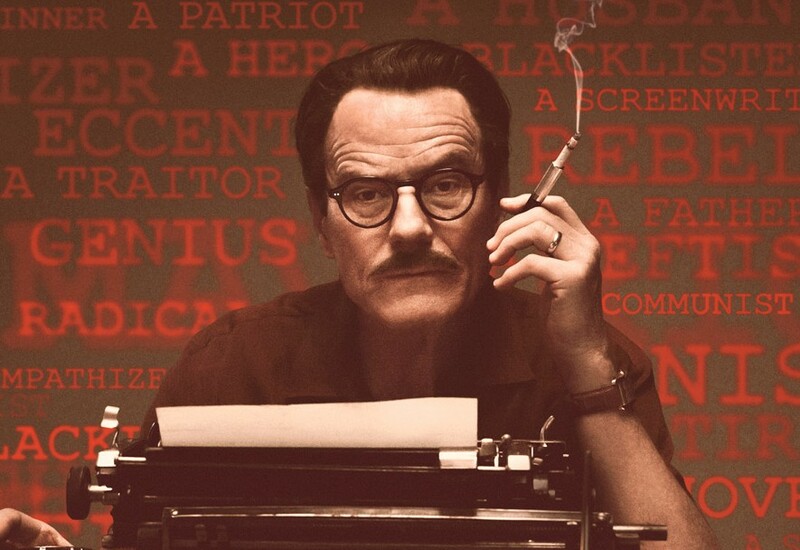 After writing successfully under a pseudonym, Trumbo reveals major works he has written and hopes this brings an end to the devastation felt by the victims of the Hollywood blacklist. This entry was posted in Film, Trailer and tagged Bryan Cranston, Diane Lane, Helen Mirren, Jay Roach, Trumbo. Bookmark the permalink. First Look at Black Panther in ‘Captain America: Civil War’!